August 2018 I was in Boekelo to visit the MBS Lego days event in Boekelo. 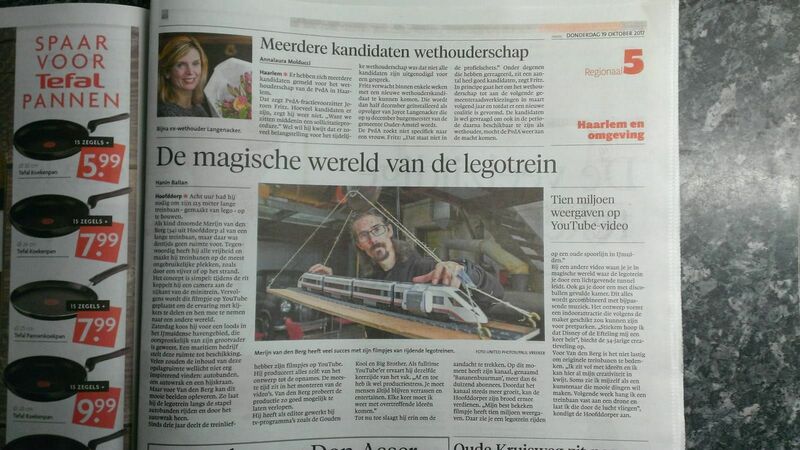 I was interviewed by RTV Oost as can be seen @ 4:40. 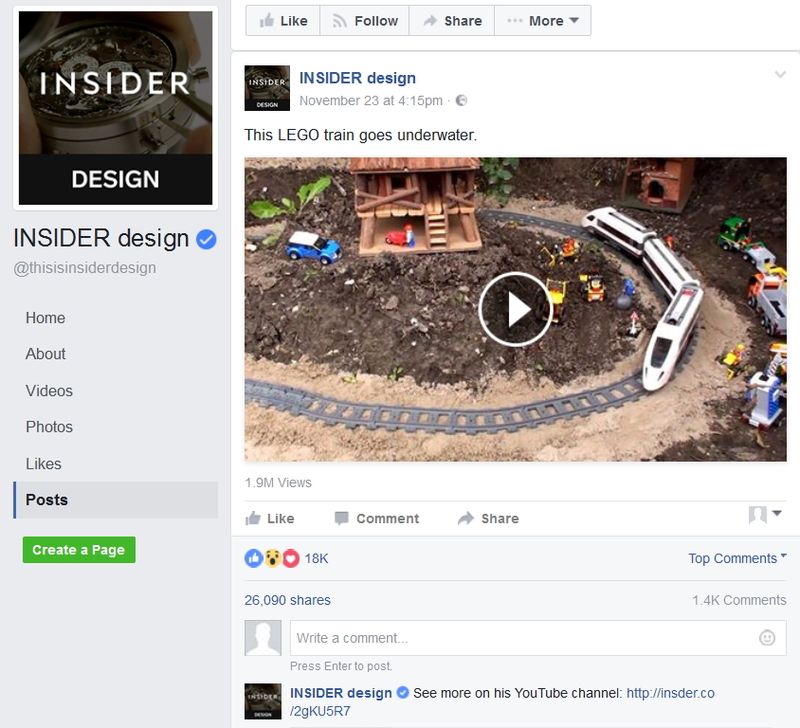 In March 2017 I got a visit from Dutch website Dumpert.nl on the Brick Valley Location. 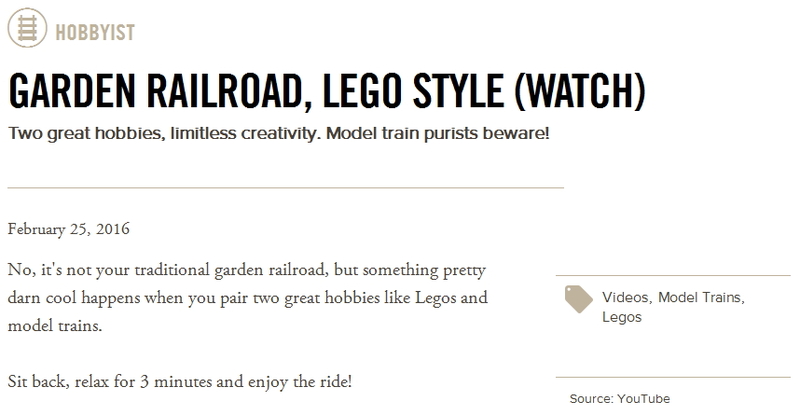 They made a very cool report on how a layout is build. The video is in Dutch only and there are not yet subtitles available. Recently Business Insider published a video on some of BANANENBUURMANS' creations. Google translate: India is seeking to implement a project implemented by Japan would be. 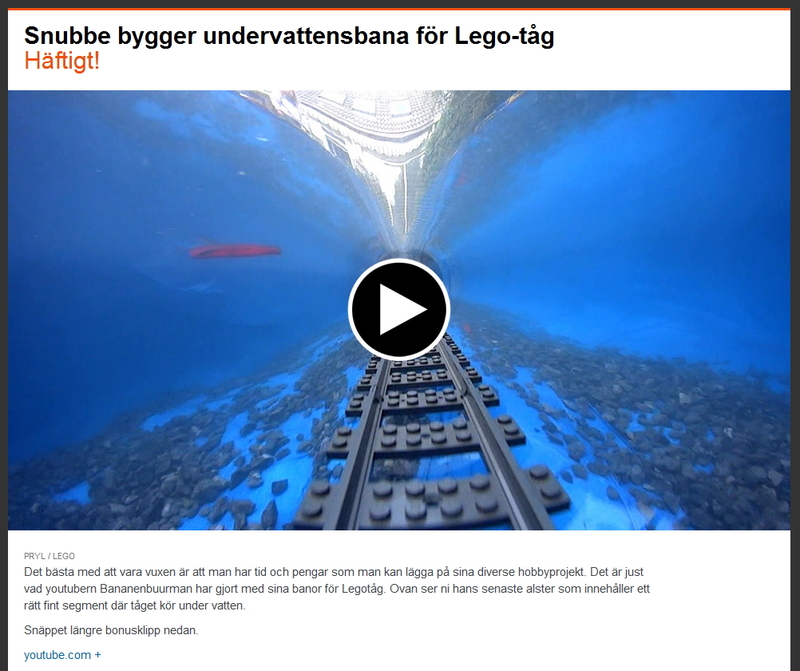 He is working for the train that will travel to the underwater world. Trains created by Japan have been a real success since it was first introduced in 1964. This project is costing the country a mountain of money, but thankfully Japan has taken over funding by about 81%. This train will have a maximum speed 350 km / h and will go from Mumbai to Ahmedabad. This means that will shorten the length of the road about two hours. Tickets think that will have a slightly higher price, but with the fabulous underwater view, will certainly be worth it. Passengers will have to wait for 2018 to see this project materialize. The best thing about being an adult is that you have the time and money you can spend on their various pet project. 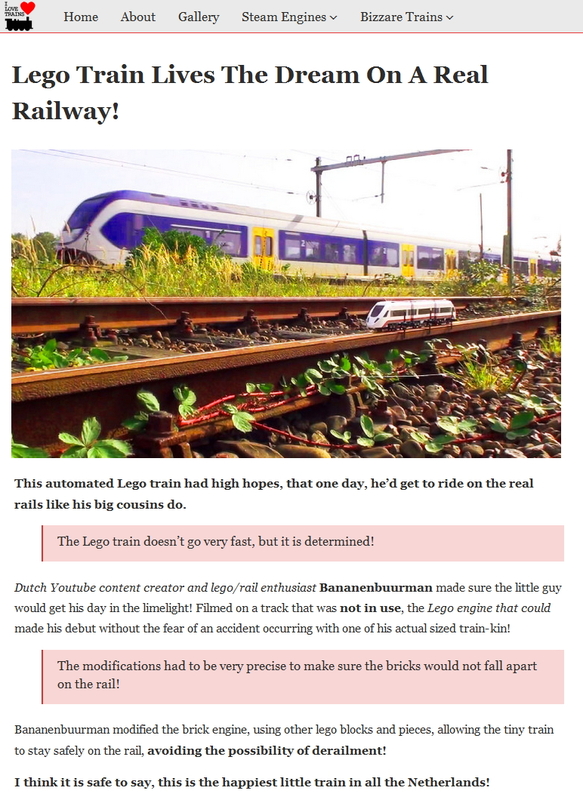 This is precisely what youtubern Bananenbuurman has done with his train tracks. 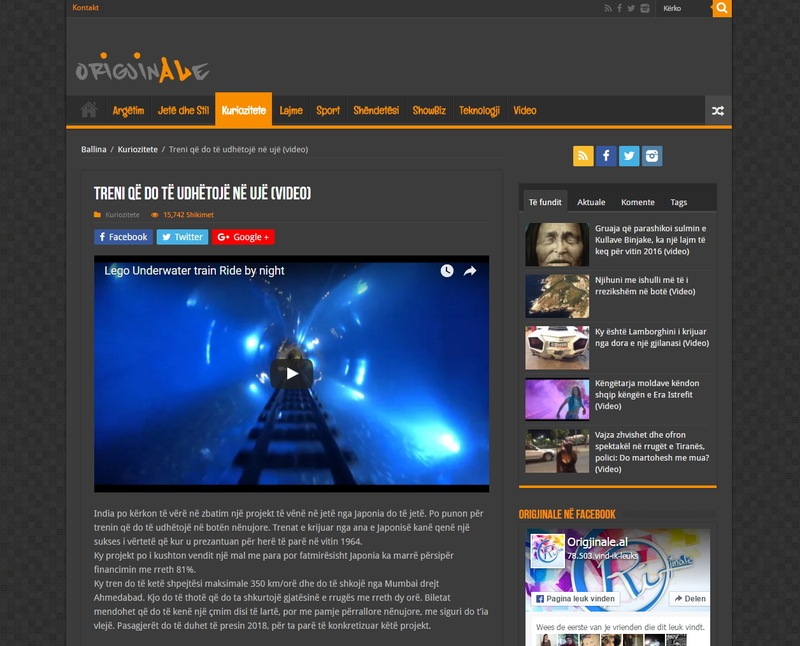 Above you can see his latest work which contains a right nice segment where the train runs under water. 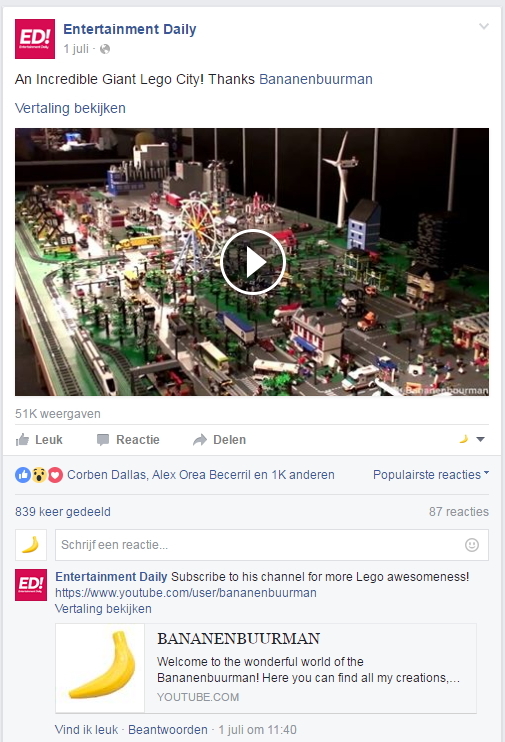 The giant Lego city was recently featured by Entertainment Daily on Facebook. Thank you all for your appreciating comments!